The Clyde Shopping Centre incorporates a brig ower the Forth an Clyde Canal. 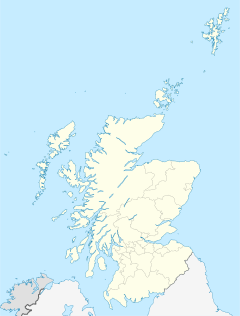 Clydebank (Scots Gaelic: Bruaich Chluaidh) is a toun in Wast Dunbartonshire, Scotland. Lyin oan the north bank o the River Clyde, Clydebank wis made a burgh in 1886. In 2001, 30,000 fowk abidit in the toun. ↑ Scrol.co.uk (2001). "Comparative Population: Clydebank Locality". Retrieved 18 December 2008. This page wis last eeditit on 20 Juin 2017, at 00:00.